This is Lucy (short for Lucifer). He is our "extra" kitty as he has taken up residence at our house as well as with our next door neighbors. He has two mommies and two daddies and several four-legged, furry siblings. He occasionally supervises my work in my studio (as shown here). 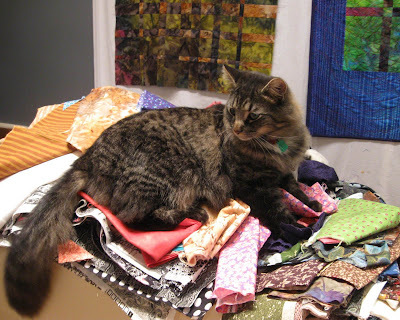 Lucy likes the quilting fabrics. My neighbor, Betty, says that when Lucy sleeps on the bedspread, he leaves a "kitty shadow" in the spot he sleeps. So, rather than Betty having to wash the entire bedspread, I decided Lucy needed a quilt to sleep on that could more easily be washed. Here it is. Lucy's quilt is 35" x 38.25". 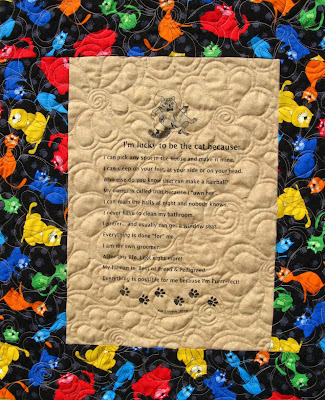 The center panel ("I'm lucky to be the cat because:") came from a custom fabric that was printed for Kat Lover's Pur-fect, Quilting. The black and multi-colored cat fabric also came from this quilt shop. 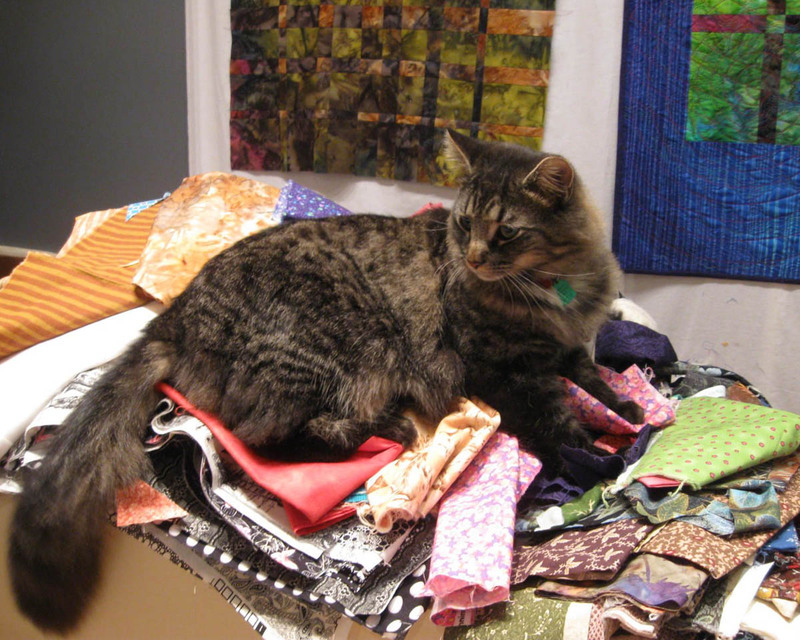 Kat Lover's Pur-fect Quilting quilt shop. 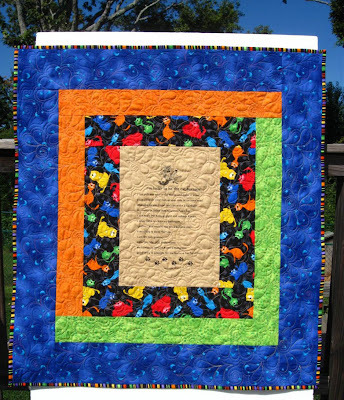 The front of the quilt is cotton and the back is flannel. It's a multi-season piece. I also love the striped binding. Lucy's quilt has a cotton front and a flannel back. 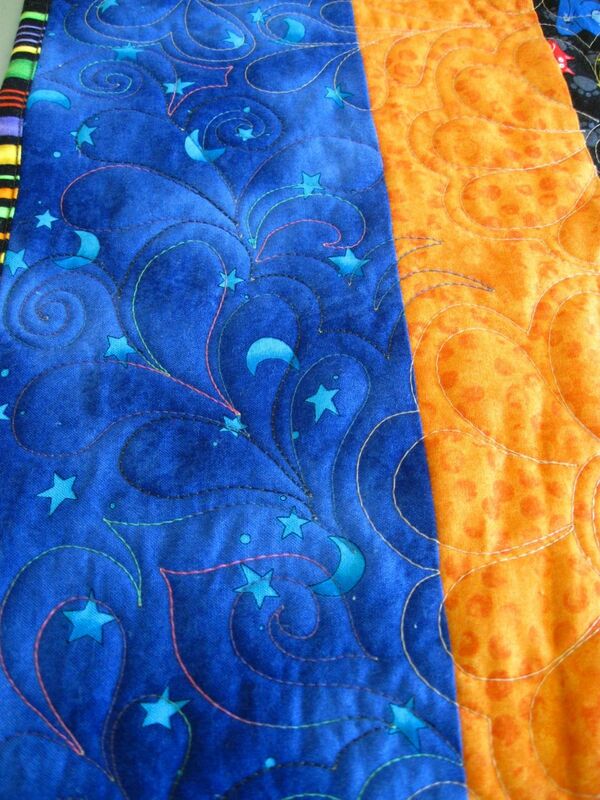 Here is a closeup of the free-motion quilting... spirals, feathers and loops. Lucy was snoozing at the time I brought his quilt to my neighbor. 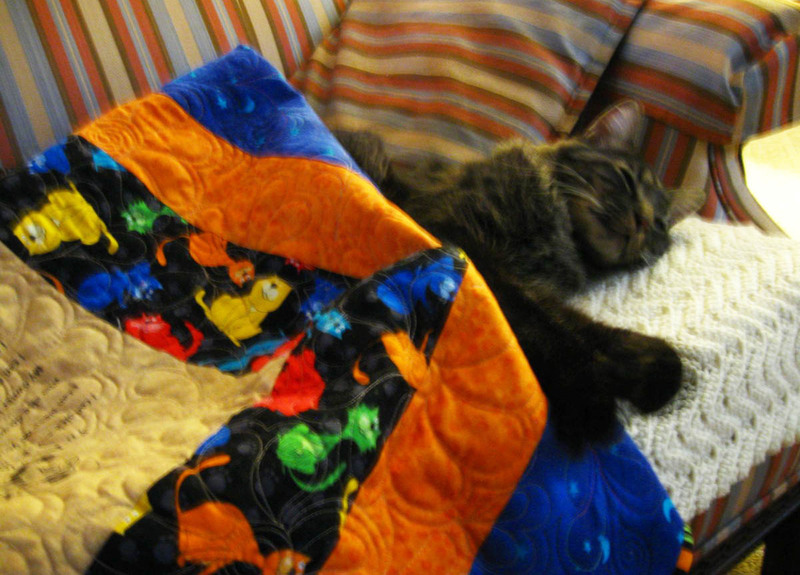 He hardly budged as Betty laid his new quilt over him. Lucy and his new quilt. He also decided to sleep on top of it. It was a big success. 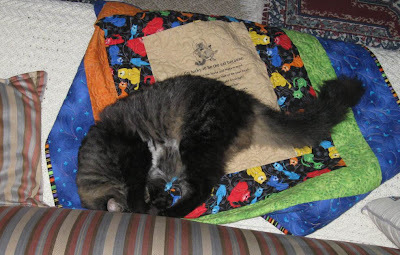 I love Lucy's quilt and I am glad he sleeps on it! Lucy and his other mommy likes his quilt, too. 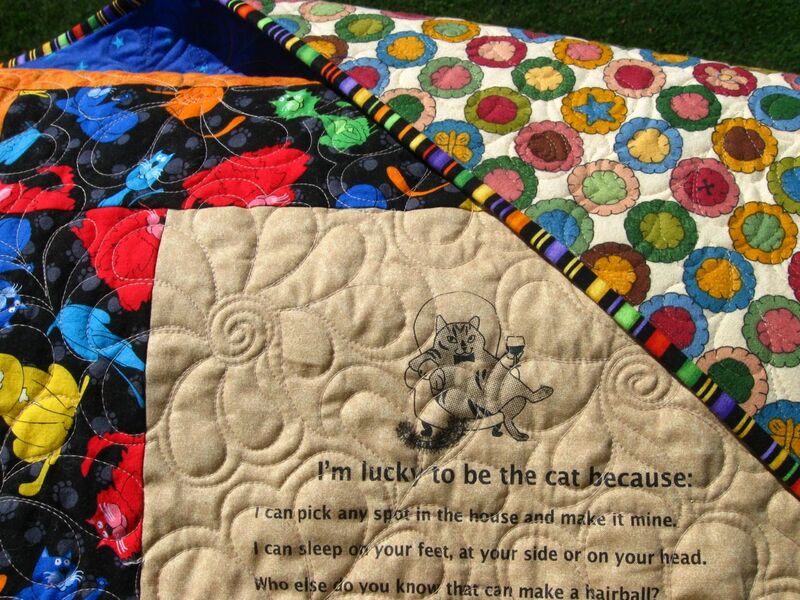 You must kitty and puppy quilts for your "little ones."